Kwik Kopy Melbourne City South is your one-stop shop for a wide range of printing and design services. 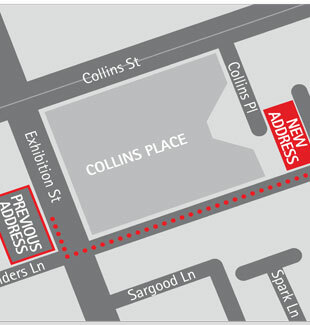 Previously located at 45 Exhibition Street, we recently moved to Level 4, 12-20 Flinders Lane. Our phone number and email address remain the same. We look forward to working with you at our brand new premises! We deliver high-quality printing on demand. Using our state of art equipment and technical expertise, we can put your brand in the spotlight with print. Whether it’s digital or traditional print, we’re across the latest developments in best practice. Melbourne City South is rated 4.9 out of 5 by 73. Rated 5 out of 5 by Theresa001 from Super Speedy and Done to Spec I required a bespoe print job turned around in 24 hours of around 30 presentations in A5, copied and bound. The team was very ehlpful, helped me select the right mateials and were able to turn the job around in 24 hours the day before a public hoilday with no errors or trouble. Rated 5 out of 5 by AshWoodman from Quick Turnaround i needed a few urgent documents printed and the team got it done within less than 24 hours. excellent result! Rated 5 out of 5 by Euan from Amazing customer service Steven and the team provide excellent customer service. Printed collateral is of great quality and always on time. Rated 5 out of 5 by JJKr from Very accommodating and high-level of expertise In my experience, the service is of high-standard with quick turn-around times. I'm particularly pleased with how the team helped me as a non-designer/copier, think about options I haven't though of myself, making sure quality is not compromised on. Rated 5 out of 5 by NicComms from Great customer service! I visited Kwik Kopy twice when I had last minute printing jobs and the staff were extremely helpful and accommodating, with a great end product.